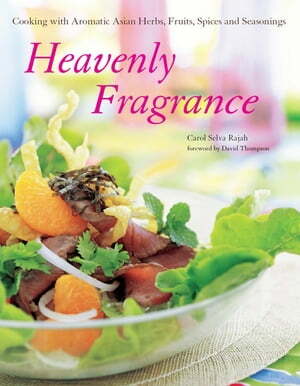 Collins Booksellers - Heavenly Fragrance by Carol Selva Selva Rajah, 9781462907342. Buy this book online. Cook fresh and vibrant dishes with this easy-to-follow and comprehensive Asian cookbook. In Heavenly Fragrance, award-winning chef and author Carol Selva Rajah brings you on an unforgettable journey of aromatic discovery in the preparation of foods from different parts of Asia. Inspired by fond memories of fragrant dishes from her childhood, Carol has always believed that what sets Asian cooking apart from other traditions is its vast array of highly fragrant and aromatic ingredients. In this book she sets out her definitive collection of new and classic recipes for cooks who wish to recreate the memorable flavors and aromas of Asia at home. The recipes in Heavenly Fragrance are organized according to the aromatic ingredients used—Asian Herbs, Fruits, Spices and Seasonings—which makes the creation of a meal as simple as picking and choosing from what you've already got stocked in your pantry.